Roseheart, by Catherine Dehdashti is a story about family, set in the 1990s, and told through the sardonic voice of Valerie Kjos. She’s a young Midwestern Gen X’er whose life is just barely coming together with her boyfriend when his Iranian mother, Goli, comes for a visit that seems to never end. Like to shop at your local, independent bookstore? Valley Bookseller in Stillwater; Common Good Books, Micawber’s Books and Subtext Books in St. Paul; and Magers & Quinn, Eat My Words, and Boneshaker Books in Minneapolis, have copies in stock, or call any bookstore and order by title & author, or ISBN 978-0-9863686-7-7. Barnes and Noble and Amazon sell Roseheart online, or purchase ebooks through Smashwords, Kindle or search for it on your iBooks app. Catherine Dehdashti began gathering material for this story more than ten years ago. In 2004, Minnesota author Carol Bly read an early version and responded, “This ms is full of energy…You have a kind of tail flip to your style that is really good.” Ms. Bly also gave her some constructive criticism. She took her advice and kept writing until she completed the 304-page novel published by Causy Taylor Literary Publishing. 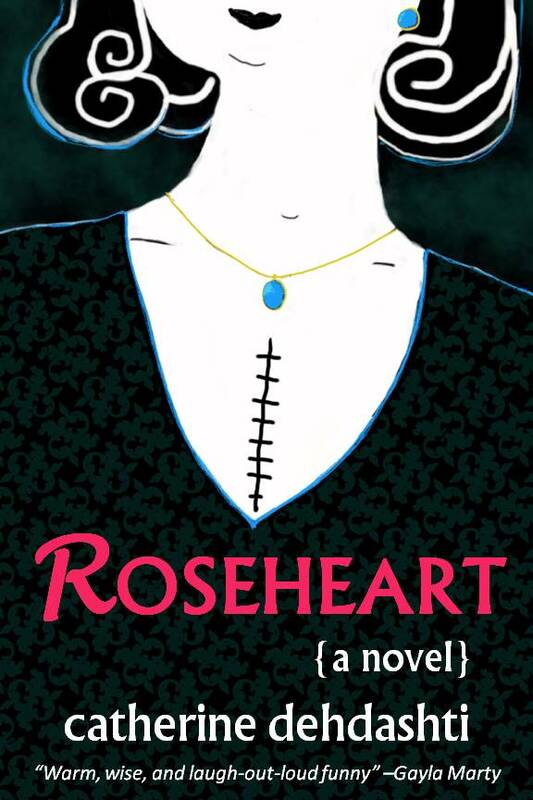 Roseheart is meant to be enjoyed as literary, new adult, or upmarket women’s fiction, similar to Bridget Jones’s Diary, by Helen Fielding; Funny in Farsi, by Firoozeh Dumas; or Welcome to My Planet: Where English is Sometimes Spoken, by Shannon Olson. The culinary imagery in Roseheart has also drawn connections to The Language of Baklava by Diana Abu-Jaber.